The preoccupations of life, mainly the arrival of my first child, resulted in a break from the day-to-day duties of running the Joe Shuster Awards (big thanks to Kevin for picking up the slack!). 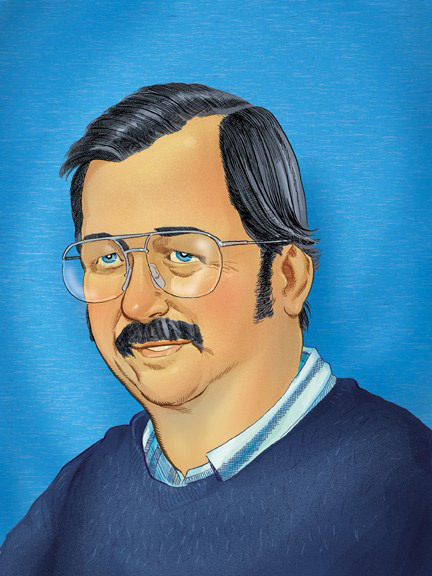 But it’s now 2012 and time to start thinking about the Harry Kremer Award for Outstanding Canadian Comic Book Retailer, and begin the process of coming up with potential nominees. This award is open to input from all members of the general public, including retailers, so if you would like your shop of choice to be considered for the award, please send an email to retailers@joeshusterawards.com. 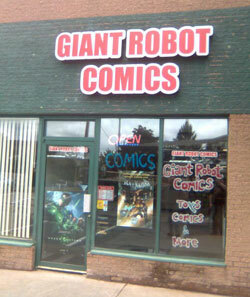 We’ve updated with a few new stores, updated links, and added some twitter feeds. Now, on with our show. Time Masters had a cute promotion called Show Us Your Geek where customers submitted photos of their geek rooms. In October there was a Customer Costume Contest. Kate Beaton had a big, busy, buzzy night for her new book Hark! A Vagrant! Rebecca Kraatz, in support of Snaps!, and Temple Bates, with Hermoddities, signed at the shop in August, both books published by Conundrum Press, located in Wolfville, NS. Closed in 2011 – Role Initiative, in Yarmouth, has been declared closed. No news to report the last 6 months. 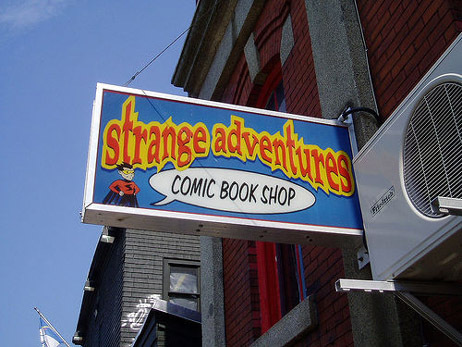 Strange Adventures put out their own comic, available throughout the SA empire at a cost of FREE! Enigma Comics and Games is closed. When I visited in March 2011, things were clearly on the way down. Telephone disconnected. Facebook page down. Sackville is a very small town, population 5,400. Mount Allison University is located there, but it’s a small school with a student base of 2,300. It was a risky experiment, to open a shop in such a small town. This entry was posted in Retailers by Robert Haines. Bookmark the permalink.